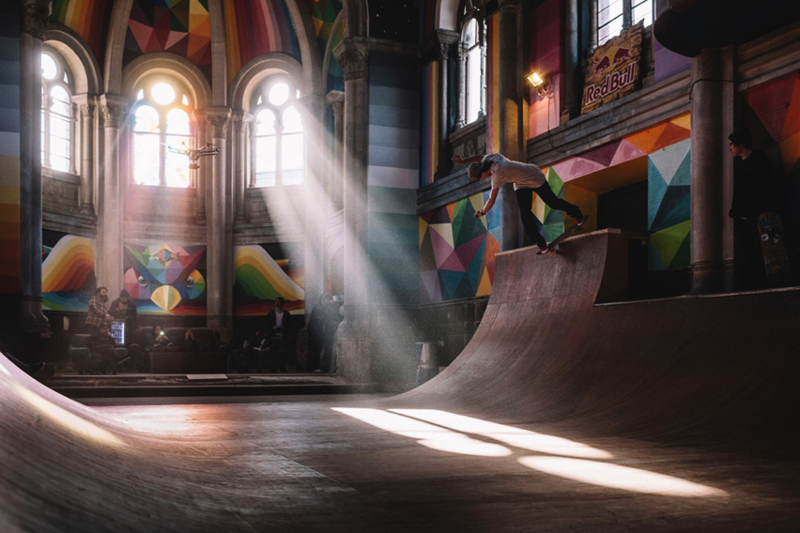 Old church turns into amazing new skatepark #ArtTuesday « Adafruit Industries – Makers, hackers, artists, designers and engineers! The church of Santa Barbara in Llanera, Asturias was originally built in 1912 by Asturian architect Manuel del Busto in 1912. It was recently salvaged and turned into a skate park. 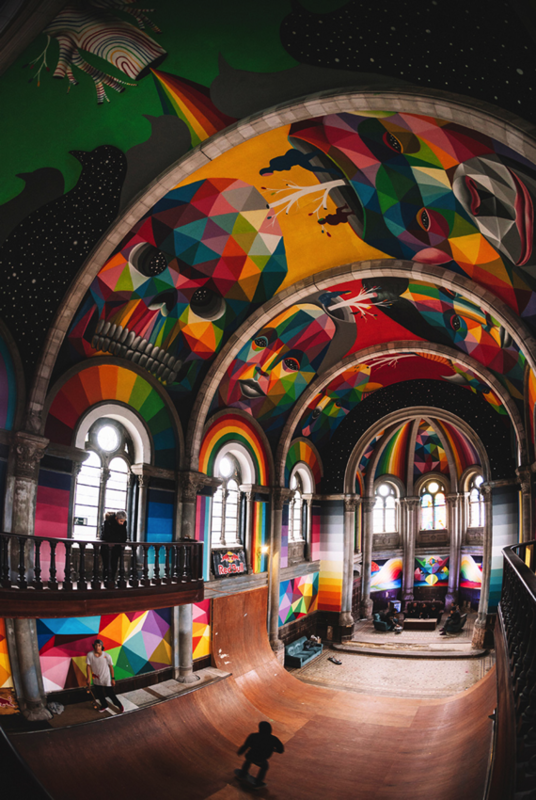 With help from Red Bull and crowdfunding, the “Church Brigade”, managed to salvage and rehash the interior of the church, turning it into a colorful skate park, now called, Kaos Temple. Artist Okuda San Miguel was in charge of the makeover, which lacks no creativity with rainbow colored geometric shapes covering the walls. The original church also add to the overall effect of the Temple as the Sun casts distinct shapes on the skate floor.